For 83 years, generations of northwest Indiana residents have passed the familiar landmark sign on the parking lot of Teibel’s Family Restaurant. Still operating at the same intersection of Routes 30 and 41 in Schererville, loyal diners of all ages have patronized the renowned restaurant for decades. Brothers Martin and Stephen Teibel opened their original 12-seat highway diner in 1929. Since then, using many home-style cooking recipes from their native Austria, the Teibel family has transformed this small neighborhood eatery into a celebrated dining venue for locals and travelers alike. During the 1930s and 1940s, Teibel’s expanded to 100-150 seats. In 1958, the restaurant again grew, adding banquet facilities for 450. A third renovation in 1985 further enlarged the property to its current 800-seat size. The business has remained in the family through four generations, from Stephen’s son Harold to his son Stephen, the grandson and namesake of the co-founder. 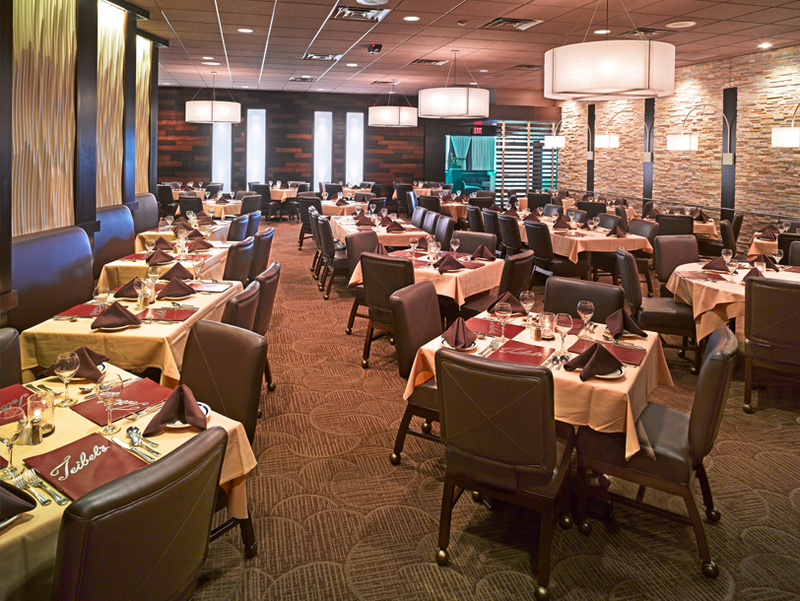 The third-generation Stephen Teibel now runs the restaurant with his son Paul. The once small diner has evolved into a full-service complex that includes a coffee shop, lounge, bar, banquet rooms and catering service. For most of this long history, Teibel’s has used Gasser chairs. Although unsure of the exact date of their first order, Stephen Teibel is certain that Gasser Chair has played a huge role in their success for more than 50 years. Stephen has sold those early chairs to a shoe store, but still retains some to this day. “Talk about durability…we bought 450 chairs in 1958, and have only replaced them twice since. The Gasser chair doesn’t wear out. That’s the problem because they are outdated before they wear out. I wish other companies I have dealt with developed such high quality products,” he says. Teibel’s is such a popular venue that some guests visit each week. Teibel keeps the wall coverings and carpets for eight years. If they are lucky, the ceiling and lights will last 15 years. The chairs are so sturdy that they can last much longer. Teibel tries to limit a chair’s time on the floor to 20 years. To keep them fresh for guests who may tire of repeatedly seeing the same seating, they update the style and color sooner. When considering replacements, costs are always a factor, so Teibel insists on quality. “The chairs should have new fabric or vinyl. My last main room chairs were in great condition after 27 years, but had that 1980s color,” he says. When they do reorder from Gasser, Teibel describes a smooth process. Once he establishes some “ground rules”, an interior designer then actually selects the chairs. “Dennis Semro, our professional interior design sales representative from Page & Semro Marketing in Chicago, will not let us make a mistake. The major part is choosing the styles and the color. I just tell Dennis what I need and it happens. After that, once I tell Gasser what date I need them, it’s done. The chairs are covered with blankets when delivered for their protection,” Teibel states. 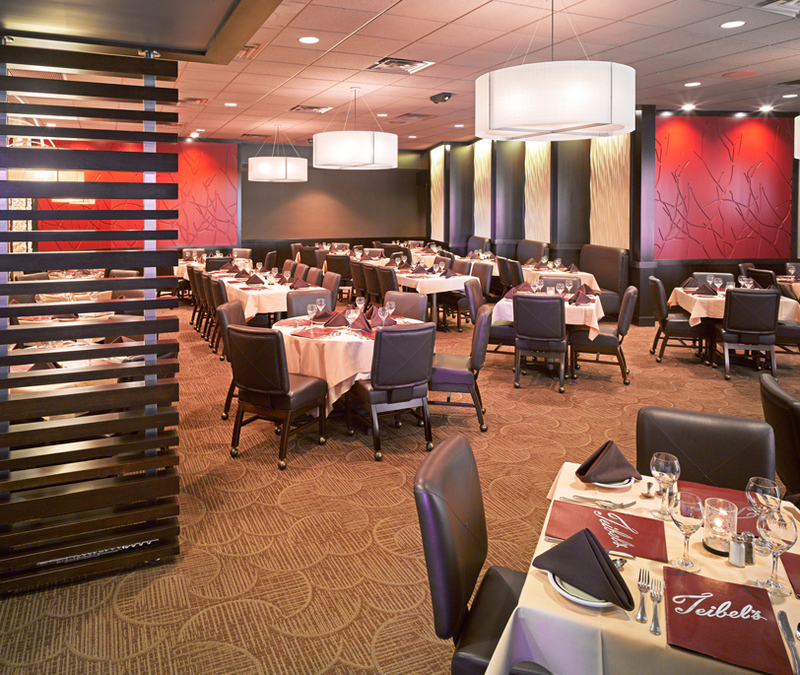 The Teibels recognize what a difference seating can make to a room’s appearance. “When we redo an area, we work long and hard to ensure that everything matches up. The chair definitely completes the space. Our guests seem to know what they want in the décor. We can always tell when the chair is a hit...the customers don’t hurry to get up any time soon,” claims Teibel. When they finally do replace their chairs, Teibel sells the old chairs. Gasser will buy a few back if the company is able to refurbish them for future use.